"I feel I know everybody and everybody knows me. I have my own space and I can be independent. I like being involved in the activities and everything going on at St Helena as I can be with my friends. I’m always invited and included in any activities or day trips out with the others. It’s fun and it makes me feel good to be included." 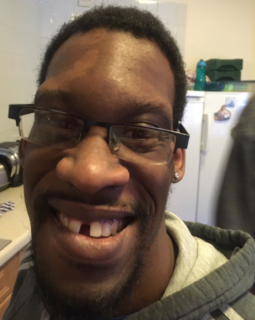 Ashleigh (‘AJ’) Jones, 29, has autism and has been living in Sandown-based St Helena, a supported living schemes for customers with learning disabilities, since May 2017. AJ feels much more independent since moving into supported housing. He enjoys the little thing like planning meals and the freedom to choose what he wants to eat each night. Dwaine "We're really proud of him." Daniel "Supported housing means help and guidance." Daniels partner lives in supported housing with their child. Angus If you are considering a similar move – do it! Supported housing means there is someone there to listen to you.